We are a reference company in the SAP ecosystem, positioned in the TOP ranking of partners every year and with international alliances in several countries and partnership models: Services, Education, Value Added Reseller, Recognized Expertise, Hosting Services, Outsourcing Operations, Application Management, Partner Center of Expertise, etc. We also have a global alliance with our partner OpenText, for the sales and implementation of their solutions (Partner Technology and Partner Services Gold). Our offices and expert centers offer service to all the countries and markets in which we operate. 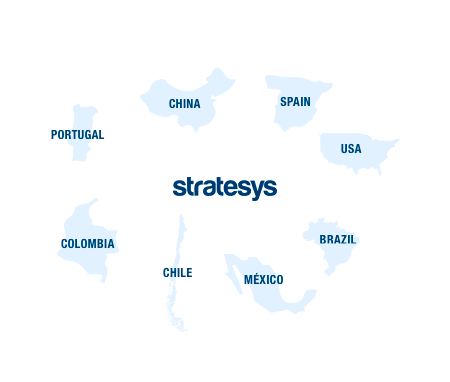 We are internationally present in several countries and locations of Europe (Spain and Portugal), USA, Latin America (Brazil, Chile, Colombia and Mexico) and Asia (China). 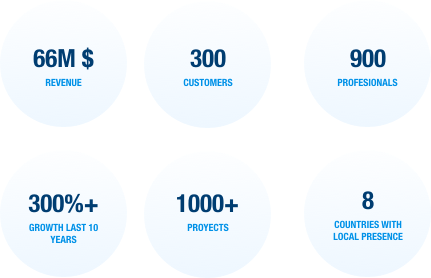 Additionally we hold multiple international experiences, executing projects and giving service to over 60 countries. The establishment of international partnership agreements with our strategic partners SAP and OpenText confirms our condition as global specialists and positions us as reference partners to accompany our clients in their internationalization processes. Our identity hallmarks are knowledge, innovation, specialization and quality and with these we help our clients define, implement and evolve in their technological and digital strategies. We have valuable experience in multiple fields, such as telecommunications, energy, construction, consumer goods, retail, transport, life sciences, banking, health, tourism… To whom we offer innovative solutions, always adapted to the specific requirements of each industry, as well as a high level of specialization and professionalism of our work team. First SAP expert company with double certification ISO 9001 y ISO/IEC 15504.